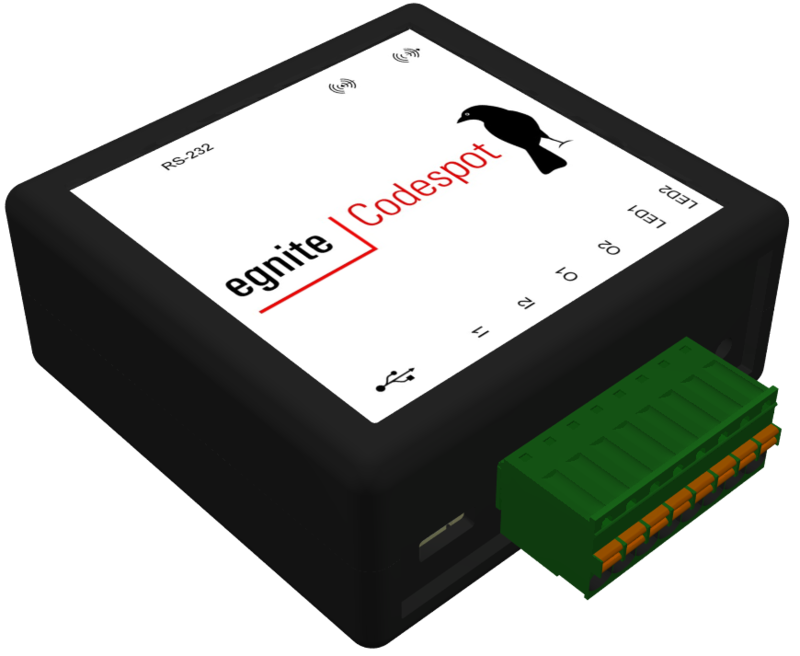 egnite has now launched Codespot Pro, an autonomously acting audio player that can be controlled over external signals. Codespot Pro can be employed in a multitude of stand-alone audio applications in cultural and commercial environments. It can for instance be used as audio station in museums and exhibitions or for sound effects at theme parks and fairground rides. Audio playback and controlling of other attached devices is done over connected motion detectors, switches and other sensors. Codespot supports most common audio file formats, like MP3, OGG Vorbis or FLAC. Its configuration is carried out using a convenient GUI. No programming skills are needed. Codespot Pro can be used as stand-alone audio player or connected to other devices using the RS-232 serial port. The compact dimensions also allow concealed installation.